Switch Mode Power Supply is a classical model which heralds the line of diminutive, light and productive electronics available in the market. This supply uses a switching regulator that serves the function of converting electrical power efficiently. Another important aspect of SMPs is their economical designs. By using high frequencies, the size of the power transformer as well as the filtering components is greatly reduced. Converts in the DC to DC and DC to AC fall in the category of SMPs. One important benefit of SMPs is their lesser power loss. In the traditional linear regulatory circuits the extra voltage which comes from the unregulated DC supply drops. In the case of SMP, the unregulated voltage portion is catered to by the switch duty ratio. The main design of the SMPs is based on a DC-DC converter. Important consideration is that the SMPs with a DC input do not need a rectification stage. 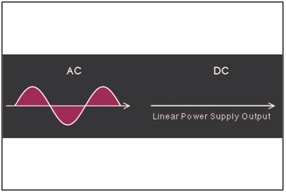 Modern designs have a power factor correction circuit, improving its efficiency. The unregulated DC supply is shunted to the high frequency switch. The SMPs operate using a fixed frequency pulse width modulation mechanism. In this case, the regulation is done on a cycle-cycle basis. There is a voltage feedback being mediated by an oscillator. The technical term for this regulator is the opto-isolator. The block diagram provided below would shed better light on the design. The main advantage is its greater efficiency. The switching transistor plays an important role since it also less power to dissipate. Less heat generation which occurs due to the improved efficiency already highlighted above. The setup is smaller in size, thus providing better utility. Reduced harmonic feedback to the supply main helps to lessen the electrical load. For best possible usage of SMPs, the appliances should be personal computers, security systems and machine tools. With the DC aspect being catered to, there are many appliances that require varied output voltage. In the case of variable power supply, we can adjust the output as per our needs. Its range of application mostly deals in testing electronic projects. The main design involves a regulator and a variable resistor. The resistor allows adjusting the output. A common example of a regulator is the LM317 which provides a range from 1.25 to 30V. A better option is the LM338 IC. The LM338 is a high current voltage regulator. It can add 5A current to the load. The benefit of its design is that only 2 external resistors are needed to set the output voltage. It comes in a 3 terminal package, and the design is a variant of LM 138. The circuit design has a step down transformer, rectifier module, smoothing electrolyte capacitor, LM338 and a variable resistor. The capacitor is used to filter the DC signals and remove the AC ripples that can affect the circuit. The power in the circuit comes from the 5A step down transformer. The rectifier (10A) rectifies the low volt AC to DC. The smoothing capacitor C1 removes ripples from the supply. The Capacitors C2 and C3 shown in the diagram help to improve the transient responses. The output voltage can be adjusted using the Pot VR1 as per the need. The D1 plays the role of protection against C4, while D2 protects against C3. With the increase in energy efficient devices in the future; the demand for power supplies that could provide clean & pure energy will definitely increase. Switch mode power supplies could turn out to be the best solution for non linear loads. Furthermore, these power supplies have the tendency to absorb power fluctuations to a greater extent henceforth protecting the sensitive equipment at the consume end. There is however a small downside in using Switch mode power supplies; i.e. they radiate electromagnetic interference. Though with the numerous advantages these power supplies have this trade off could be easily compensated with effective design. or copy this trackback: http://engineering.electrical-equipment.org/power-quality/choosing-the-right-power-supply.html/trackback from your own site.